People with fibromyalgia get the same health benefits from exercise as other people -- and more. Regular exercise combats fatigue and increases energy. It makes joints more flexible and improves sleep and mood. Exercise frees people with fibromyalgia to live a fuller life. Talk to your doctor before you begin exercising. Some exercises may not be recommended for patients and could be harmful. Will exercise make you hurt more? Some muscle soreness is common after exercising in the beginning. But ultimately exercise should relieve fibromyalgia pain, not aggravate it. Try these tips: Start off small and build slowly. Massage or apply heat to sore muscles before exercise and apply cold after. People with fibro often give up on exercise because they fall into a "push-crash" cycle. They push themselves too hard, get injured, and then stop. To avoid this cycle, work with your doctor or a physical therapist to design a program around what you can do. Build in rest days. Most importantly, listen to your body: Move less or slower, or use smaller motions when necessary. What's better for fibromyalgia symptoms -- aerobic or relaxation exercises? One study found aerobics to be far superior -- even in people with severe fibromyalgia. 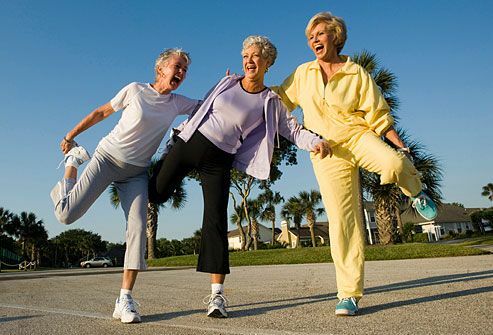 Start an exercise program with a low-impact cardiovascular exercise such as walking. If walking creates too much stress on your muscles or joints, try non-weight-bearing activities like swimming or bicycling. Walking can help control pain and fatigue. Start by walking as little as five minutes a day and add 30 seconds or a minute each day if you can. Work up to 30 minutes to an hour of walking, three to four times a week. If you start to struggle, walk for a comfortable length of time for several days before increasing again. If you want a more intense workout, try alternating walking with slow jogging. Just can't drag yourself out of the house some days? Then do yoga poses at home. Yoga's combination of stretching and meditation seems to ease multiple fibro symptoms including poor sleep, anxiety, and depression. Seated yoga positions can be practiced on a chair or the floor. Or try a restorative pose: Lie on the floor with your legs extended straight up a wall. Hit the neighborhood pool even if you don't know how to swim. Water is easy on the joints, it relaxes muscles, and it allows you to stretch more. If you can't swim, find an aquatics class that includes gentle range of motion, flexibility, strengthening, and aerobic exercises. Warm water in particular (around 88 degrees) may help relax muscles more. 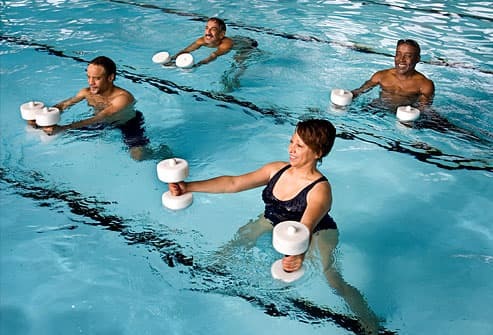 Look for a gym or clinic with a warm-water pool or hot tub. People with fibromyalgia were once discouraged from doing strength training. But research has shown that it's safe and helpful. Strengthening muscles makes daily activities such as climbing stairs and doing household chores easier. Use props like resistance bands or free weights. To strengthen calves, rise up on your toes as high as you can and slowly lower yourself back down. Hold weights during reps.
Can you move all your joints through their full range of motion? Many people with fibromyalgia can't. Range-of-motion exercises gently reduce stiffness and keep joints flexible, making movement easier during your daily routine. Start with simple motions such as rotating your arms and legs as you sit in a chair. 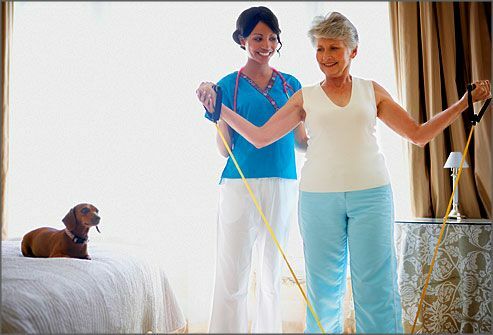 Your doctor or a physical therapist can help identify the right exercises for you. Maybe the idea of exercise still seems overwhelming. Or maybe you're already in an exercise program. 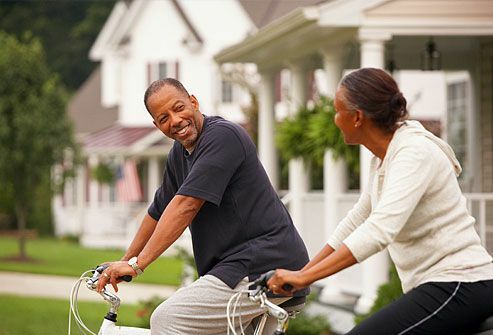 You can still try to add little bits of physical activity to your daily routine. Walk up the escalator. Move the remote so you have to get up to change the TV channel. 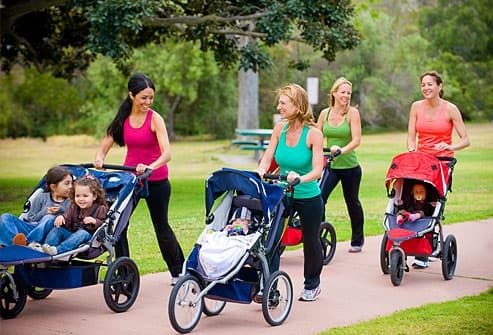 Push the baby stroller when you go for a walk. Little challenges like these shouldn't worsen symptoms but should improve pain and fatigue. Exercising consistently helps you get the most out of your program. But fibro symptoms can dampen motivation. 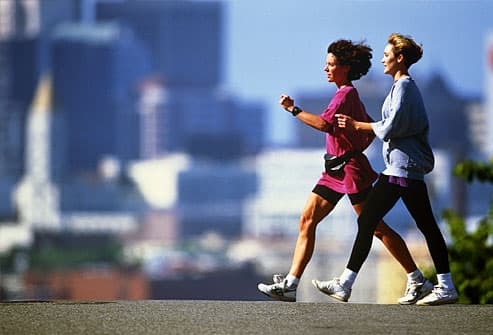 To stay inspired, exercise with a friend or a fibro support group in your area. Set small goals for yourself. And when you reach your goals, reward yourself with a massage, a movie, or extra reading time. Above all, keep your eyes on the prize: feeling your best, even with fibromyalgia. Johns Hopkins Arthritis Center: "Yoga for People with Arthritis." Matallana, L. The Complete Idiot’s Guide to Fibromyalgia, Alpha Books (Penguin), 2009. News release, Oregon Health and Science University. Richards, S., and Scott, D. British Medical Journal, July 27, 2002. University of Illinois at Chicago National Center on Physical Activity and Disability. University of Michigan Chronic Pain and Fatigue Research Center. University of Washington Medicine Orthopaedics and Sports Medicine.